All areas of the East Midlands. SC049102 Ofsted audits all adoption agencies as it does schools and nurseries. Click the link to view the latest Ofsted reports for this agency. 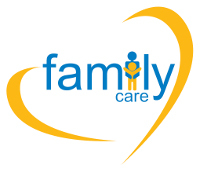 Family Care is a Nottingham based voluntary adoption agency, which has been around more than 125 years. Specialists in adoption we’ve developed a great reputation for our friendly, positive and supportive approach. We provide the full range of adoption services. That includes the recruitment, preparation, assessment and approval of adoptive parents who would like to adopt a child or children from this country. We also offer support to those whose lives may have been touched by adoption in some way. Our team work solely on adoption and work closely with local authorities to match and place children looked after in the care system with families approved by Family Care, and we offer all our adopters lifelong support. We regularly hold Adoption Information events where you can meet with our previous adopters and hear their stories, and ask them and our Social Workers any questions you may have. You can see when the next Adoption Information events are by visiting our website. If you have any questions or would like to find out more about adoption or Family Care please give us a call. A member of the adoption team is always available within working hours and will be happy to talk with you either over the phone or face-to-face.